It’s the middle of the week—a three-rehearsal week, two down—and it’s been overcast and rainy all day. Nothing but gray. Which is why all the caffeine in the world isn’t enough and I’m staring at gray skies, and listening to Charlie Haden. Ah, Charlie Haden. I’ve had the privilege of seeing both Haden and his son Josh Haden (with his band Spain) live. My experience with Charlie was in the context of his Liberation Music Orchestra, with Amina Claudine Meyers on piano and Makanda Ken McIntire, among others. I can’t say that I recall much of the show; I was unprepared to understand the complexities of what that band was playing and didn’t know much about Charlie at that time, including the fact that he had been the bassist with Ornette Coleman’s band featured on The Shape of Jazz To Come. But he made an impression on me for the serenity of his playing and the staggering complexity of some of the music. What I’m listening to this afternoon is something else entirely. 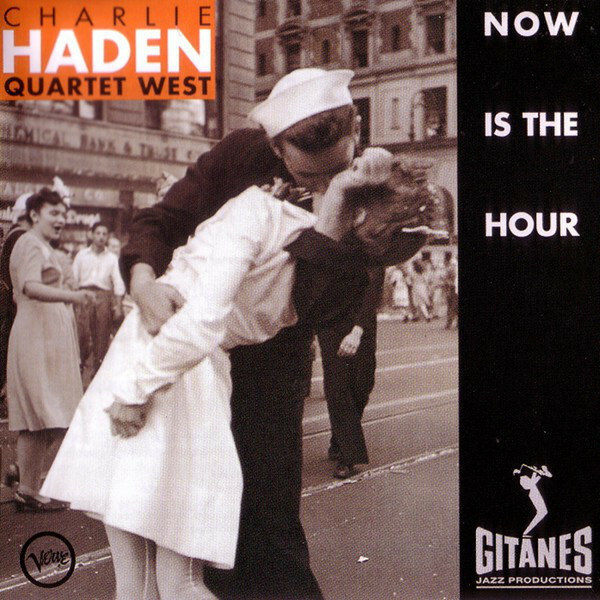 Haden’s other group, Quartet West, performed simpler, melodic, and overwhelmingly romantic jazz, and his 1997 album Now Is The Hour features all of that plus a string orchestra section. The ballads are sentimental and enveloping, the fast tunes are bracing and the playing is absolutely impeccable. Highly recommended.